Heart failure affects more than 20 million people around the world and 5.8 million people in the United States. Treatment options have improved over the years and the average life span for patients with symptomatic heart failure is 5 years. However, as heart failure progresses pharmaceutical treatments may no longer provide adequate management. At this point heart transplant or implantation of mechanical support devices is considered. The left ventricular assist device (LVAD) has been used since 2006 for patients with end stage heart failure who aren’t well enough to wait for a heart transplant. 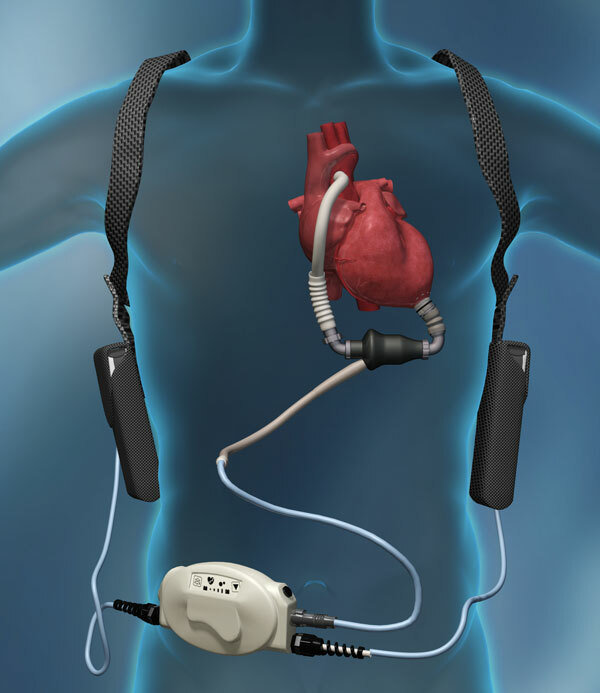 Today, LVAD is used to both help patients bridge to transplant and as a destination therapy. Over 12,000 LVADs were implanted during 2006-2014, with numbers increasing in recent years due to a significant improvement in survival. However, LVAD implantation still carries risks of health complications such as multiple hospital readmissions and device-related infections. The initial recovery from VAD surgery varies between patients and can take 2-4 weeks of hospitalization. It includes first staying at the intensive care unit (ICU) for several days till the patient will be able to breath on his or her own. Then, the patient will be transferred to intermediate ICU to continue recovery. After fully stabilizing and being trained on how to use their device, patients can be discharged to home. 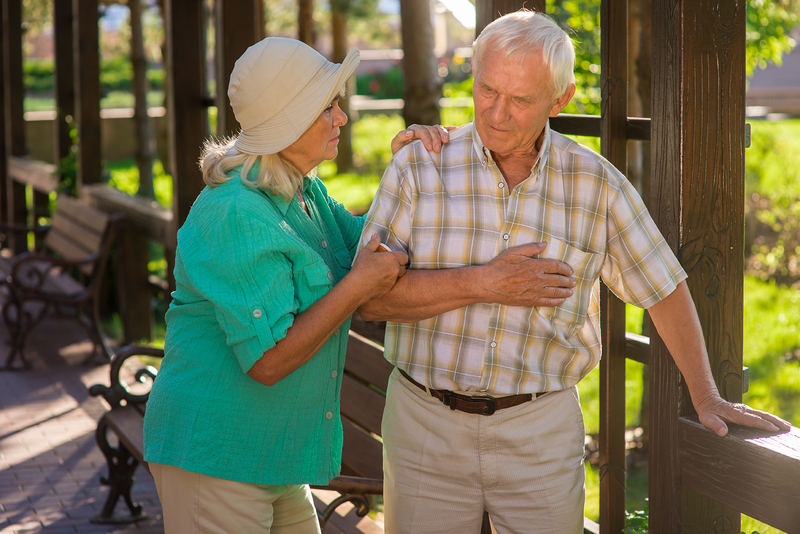 Once home, patients have to be careful about avoiding infection and maintaining their health. LVADs require battery changes several times a day and dressing changes weekly. Patients may also have to be on blood thinners and are restricted from being in water. For patients with heart failure considering an LVAD, CORA Patient Counselor is a personalized app that helps you weigh the benefits and risks of getting an LVAD. 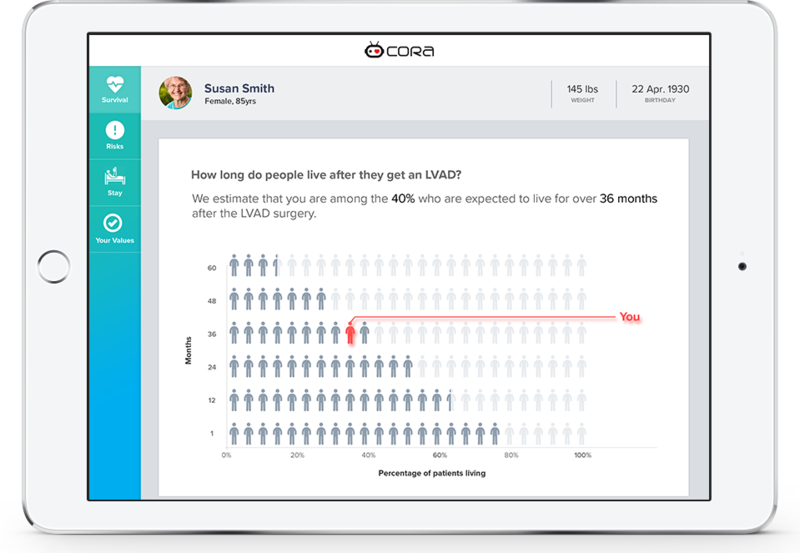 Unlike generic decision aids, CORA uses your medical information and personal values to gauge your outcome and quality of life after an LVAD implant. CORA is being developed by some of the world’s leading researchers in heart failure and uses machine learning predictive algorithms based on data from the tens of thousands of patients with LVAD devices. Learn about the heart failure, causes, symptoms, stages of heart failure, diagnostician procedure, and treatments. Learn about LVAD, implantation, risks, costs, and related companies. Emmette: Were you hospitalized often prior to C-Pulse®?